Meher Vij aka Vaishali Sahdev is a TV serial actress who essayed the role of Meher in Kis Desh Main Hai Mera Dil. She also appeared in short film like Pied Piper. Meher was born on22nd September 1986 in Delhi as Vaishali Sahdev. Meher has an elder brother Piyush Sahdev. Meher married Manav Vij on 5 July 2009 in Mumbai. She changed her name from Vaishali Sahdev to Meher in 2009, after marrying Manav Vij. 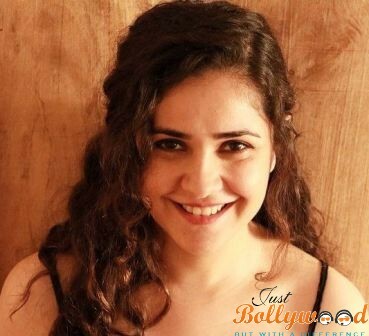 Meher Vij has worked in a number of TV serials starting with Kis Desh Mein Hai Meraa Dil in 2009 as Meher Juneja / Maan and then in Yeh Hai Aashiqui as Preet followed by Ram Milaayi Jodi as Hetal Gandhi / Bedi and Bluffmaster (TV series) as contestant. Talking about films, she was seen in a number of movies which include Bajrangi Bhaijaan (2015) as Shahida’s mother, Dil Vil Pyaar Vyaar (2014 Punjabi film), Saaya (2003 film) as nurse — cameo, Lucky: No Time for Love (2005), The Pied Piper (2013 film), Ardaas (2016) as Bani, Tum Bin II (2016) as Manpreet and Secret Superstar to name them all. Talking about her personal life, as we said she is married. Meher got married Manav Vij on 5 July 2009 in Mumbai. And it is considered to be her early marriage as she wanted to start things first and then continue with her career and thus enjoys a perfect balance between her professional and personal life. She turned a popular name in television with shows like Kis Desh Mein Hai Meraa Dil and Ram Milaayi Jodi to her credit.